If your home in Sioux Falls, South Dakota, or a surrounding area, is in need of a professional storm damage restoration team, look no further than Waddle Exteriors. Having served the area since 1978, we understand the potential harm/dangers that Mother Nature can impose on residents of this region. And, we place an added emphasis on having your damage repaired as quickly as possible to allow you to go back to your normal life. One of the features that sets us apart from other storm damage contractors, is that we have access to the software program, Xactimate. This satellite imagery software is used by most major insurance companies and is used to measure the exact scope of the damage done to your home. This allows us to come up with an accurate quote for your project. Once this is done, we will pass the information along to your insurance adjustor on your behalf allowing you to focus on more important things. 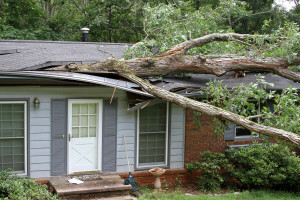 For more information about the storm damage restoration services available for your home in Sioux Falls, SD, contact Waddle Exteriors today to schedule a consultation.